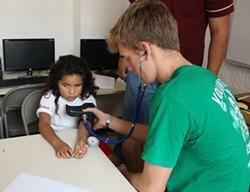 Projects Abroad volunteers with an interest in medicine can gain valuable experience and help disadvantaged communities on the Public Health in Mexico Short-term Special. 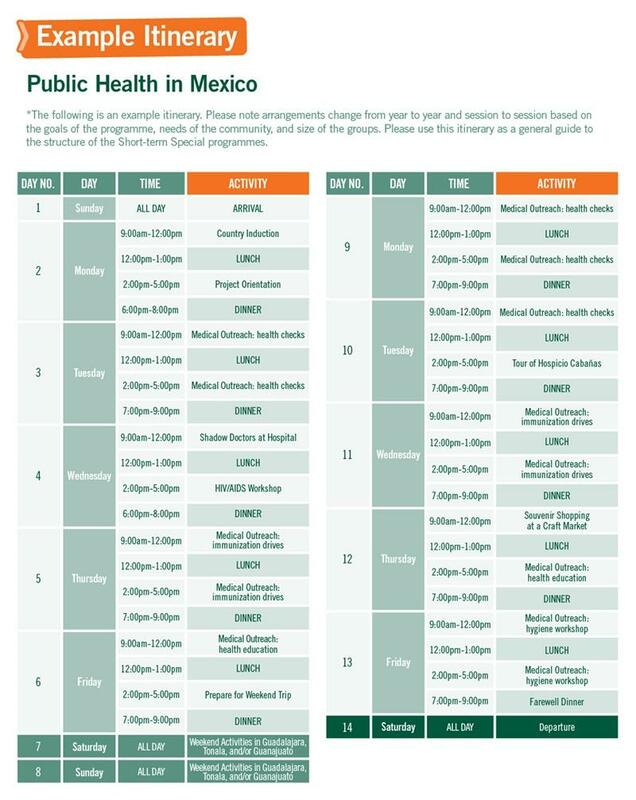 In Mexico, many people do not have regular access to medical care and there is also a need for more education about public health concerns. As a volunteer, you can make a difference and provide important services to the community by helping with community-based medical outreach work and public health campaigns. The majority of your time will be spent working in areas on the outskirts of Guadalajara where there is often little or no access to healthcare services. You will also work in schools or orphanages helping provide medical care and education. All of our volunteers work alongside qualified local doctors and nurses. You will be able to learn from observing and assisting them while they diagnose and treat patients. You can get involved in a variety of activities, including basic health checks, immunisation drives, and performing checks of vitals on babies and the elderly. You will also participate in conducting educational health campaigns, where you can lead discussions about health and hygiene with local schools, orphanages, and community groups. You do not need to have any previous medical experience to participate and this project is best suited for pre-university students hoping to get a place studying medicine and those in their first year studying in healthcare fields such as nursing and community health who want to volunteer in a Latin American country where you will have the chance to learn some Spanish. During your time volunteering in Mexico you will live with a local host family in the city of Guadalajara, a large university city with striking Spanish colonial architecture. On the weekend, you will participate in cultural and Spanish workshops, have salsa lessons, go on a half day trip to the handcraft market in Tonala and visit a local restaurant trying some of the delicious local cuisine and dancing the night away.